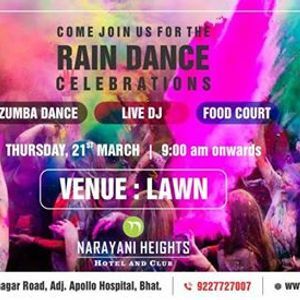 Spring is en route, and festivity is back again with the most anticipated Event - Holi Rain Dance Celebration at Narayani Heights. 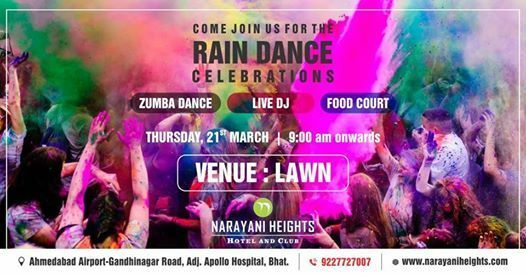 Get prepared for a blend of bliss and liveliness of hues; it's the ideal opportunity for superlative fun on the floor with Live DJ playing out your most loved tunes, Rain Dance and delightful treats. Reserve your tickets to the most happening Holi Celebration.